In previous posts, we talked about the right way to turn off a computer, and how a "hard shutdown" – when users simply press and hold the power button to turn their computer off – can cause serious issues that may later require computer repair. Windows provides a safer way to power down a computer – accessible from the Start menu – but there's also a handy little option called sleep mode. What does sleep mode do? Sleep mode is intended to conserve energy. After selecting this option, Windows will automatically save any open programs or documents in their current state while turning off some elements. When users are ready to start working again, they simply turn their computer back on and any programs they had open appears just the way they left it. The computer is still technically running when it sleep mode, it's just in a power-reduced state. According to Microsoft, sleep mode uses about the same amount of electricity as a night light. Is it better or worse than a traditional shut down? In many ways, sleep mode can be a preferred option over a standard shutdown. Resume work quicker – Windows takes mere seconds to return from sleep mode, while it can take several minutes for a computer to turn on or off during the traditional shutdown process. Allow for maintenance tasks – PCs can still download and install critical system updates while in sleep mode, a handy feature that can keep a computer up-to-date. 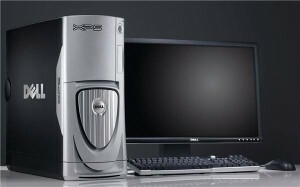 Save energy and PC life – While sleep mode uses a bit more energy than a traditional shutdown, the difference is negligible. However, users who set their computer to go to sleep mode after it's been idle for a certain period of time will save much more electricity than if they simply set a screensaver. 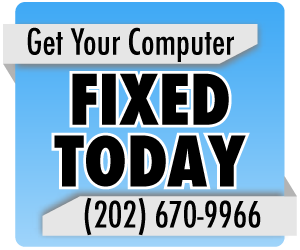 In the grand scheme of things, the longer a computer is able to rest, the less likely it may be to require Washington, D.C. computer repair.